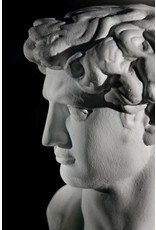 USG Drystone™ Casting Media is a unique product designed for the fabrication of solid cast interior use pieces. Because it requires absolutely no drying, it can be cast, painted, packaged and shipped in a single day. Placing the cast piece(s) in front of a fan yields a finished product in two hours that can be decorated in roughly 2-4 hours (after setting) with typical paint. USG Drystone™ Casting Media: Eliminates the need for expensive drying procedures Achieves the highest compressive strength in its category and highest early “green strength” Provides an environmentally safe alternative to resin-based products with respect to air quality Can be used with the majority of mold materials including silicone, latex and urethane Offers a high density that produces a quality feel and excellent duplication of intricate details Can be aggregated for a variety of looks and feel. The recommended ratio is 100 lb. 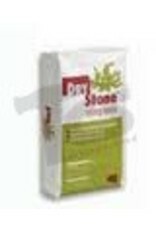 of DRYSTONE Casting Media to 18-20 lb. of water. It is vitally important to always weigh the water and DRYSTONE Casting Media powder. Variations in the DRYSTONE Casting Media-to-water ratio will affect performance characteristics and physical properties.